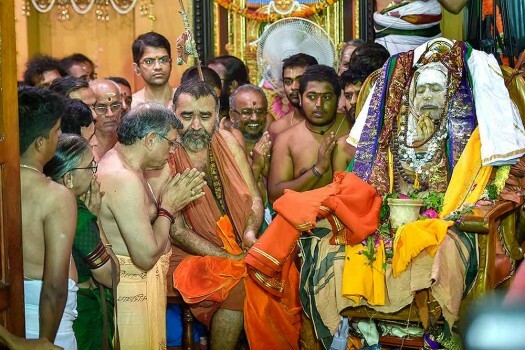 Auditor S Gurumurthy pay his last respects to Shankaracharya Jayendra Saraswathi, the 69th pontiff of the Kanchi Mutt, in Kanchipuram. 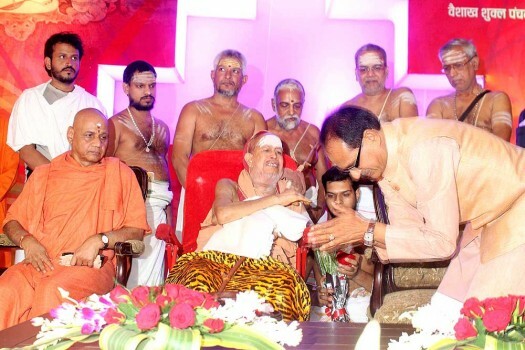 Kanchi Sankaracharya Swami Jayendra Saraswati arrives to solemnise Varun Gandhi's marriage to Yamini Roy in Varanasi. 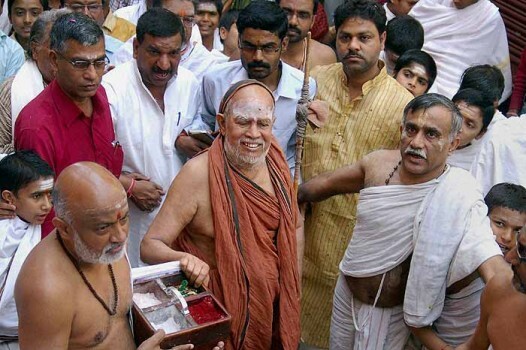 The Kanchi seer comes up with a workable solution but will the VHP or the Muslims accept it? 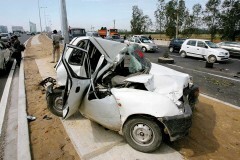 'Change' is too weak, given the extent of the rot. The answer may perhaps lie in reformation, an upheaval of our morals. 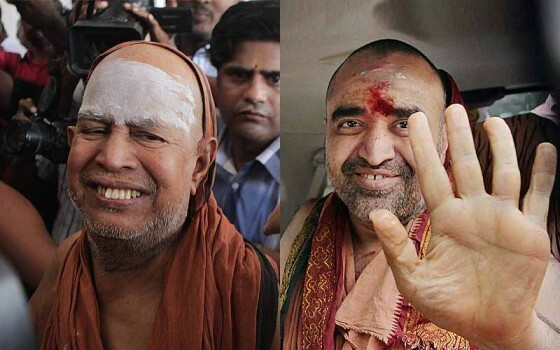 The Shankaracharya of the Dwarka and Jyoti peeths spoke to Ajith Pillai. Excerpts.